Remove burrata from container and allow to drain on a cutting board to remove excess moisture. all, dry frying pan for five minutes until golden brown. Set aside. On a dinner plate, arrange burrata in the middle, and sprinkle with microgreens. 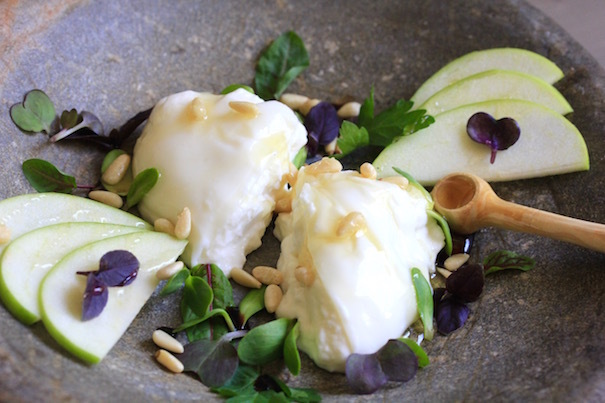 Cut apple into slender wedges and arrange around the burrata. Slice through the burrata so that it gently falls open on the plate. Sprinkle with pinenuts.